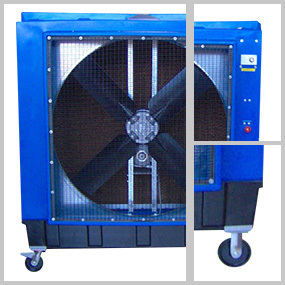 Portable evaporative coolers carry a parcel of nature with them while they traverse hot buildings. 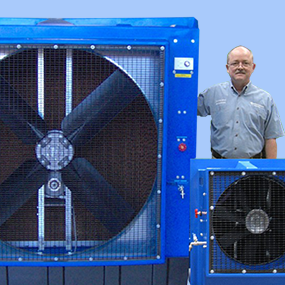 They channel that natural cooling force efficiently, but this control comes at a price. It's exacted as dirt and sediment, hard water and mold, contaminants that age the appliance. 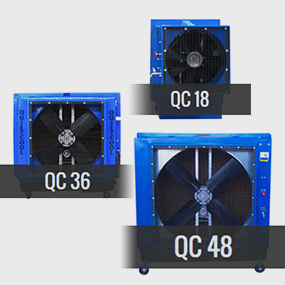 Everything about evaporative coolers suggests utilitarian action, with nature's most potent process taking its cue from the ambient temperature around our homes and workplaces. And we do mean potent, for every weather pattern, every cloud, and every single storm system on our globe relies on fluid state transitions. 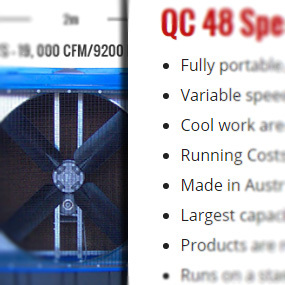 Remember that all-encompassing power as we wonder why evaporative coolers work best in warm climates. The laws of fluid mechanics seem wholesome and antiseptic when they're read off the pages of a book, but the practical applications tell a different story. 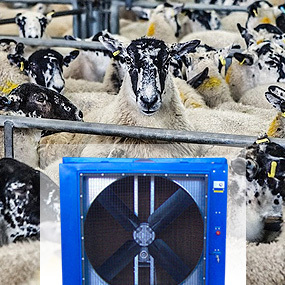 In relating a tale that shows how air flow affects evaporative coolers, we're going to be dealing with some real headaches, but they can be readily sidestepped when a simple maintenance program is established. Let's take a closer look at these issues. 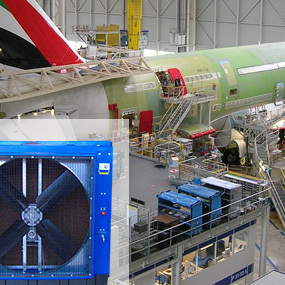 The evaporative cooling process has been famously compared to man's earliest exploits in temperature management. Egyptians and Romans and every other overheated ancient civilization on the globe had access to some variation on this theme because they knew that water was a cooling influence. 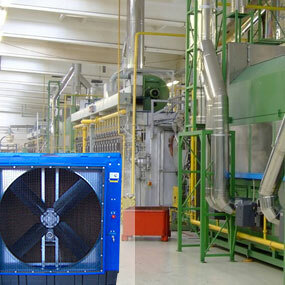 Factory Cooling for The Industrial Workplace: A Must for Workers! Unexplainable productivity drop-offs don't seem quite so mysterious when we personally enter witheringly hot working environments. The human body needs to breathe, after all, and this essential biological process can't take place when metabolism-stifling heat is jeopardizing our natural cooling mechanism. Atmospheric science is an interesting field, one that breaks down into gaseous and fluid dynamics. There's even a little bit of particulate matter in the mix. Breathable air varies with altitude, humidity rises and falls as we pass through different climate zones, and that particulate stuff whips up when the weather changes. 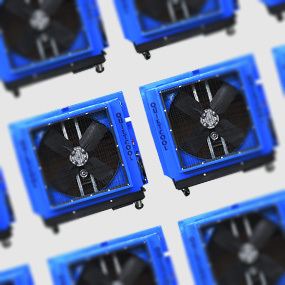 The age-old operating principles that rule evaporative coolers hold true whatever the application, yet it is modern technology that now powers the appliance. Nature and engineering excellence coalesce here to produce cool air, a biologically friendly airflow that eases the body. 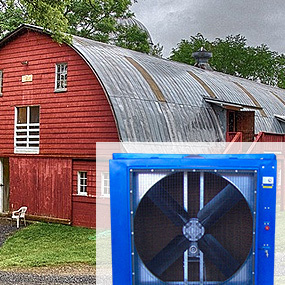 The evaporative cooling effects on cattle farming are much the same. 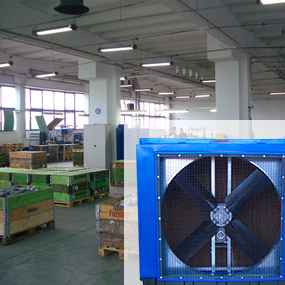 Large buildings and covered outdoor areas that are used as factory and warehouse spaces can get hot. 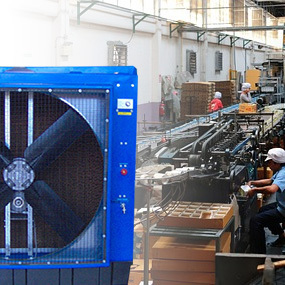 Heat generated by machinery and the sun can make working places such as these very hot and, in some cases, extremely uncomfortable for workers. A simple little maxim used to say that the simplest solution is often the best solution, but that's just not always true. 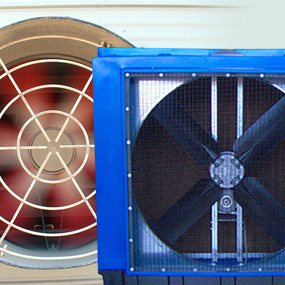 Take the electric fan versus evaporative coolers debate, for instance, a situation that's clouded by numerous variables. An electric fan is just a handful of blades rotating with enough force to push air. 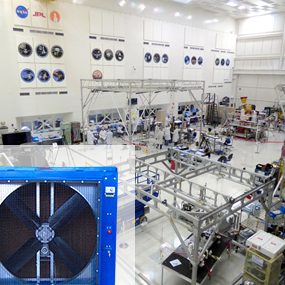 Ambiguous cooling solutions lack focus. They work, but they work only as an aimless source of chilled air. Portable evaporative coolers, on the other hand, cast aside this slothful work ethic in favour of a purpose-driven disposition. Able to roll straight into the heart of a localized heatwave, the mobile mechanism directly applies cool, calming energy to the crux of the sweaty setting. 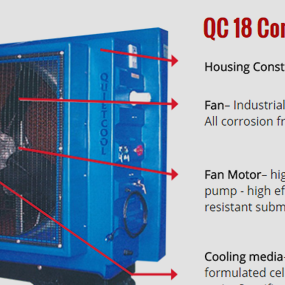 When marketing brochures describe the current state of evaporative cooling technology, there's a tendency to sidestep contemporary engineering assemblies. Instead, the colourful documentation tells us about the origins of water-soaked fabrics and dripping clay urns, the evaporative solutions that were employed by long-gone cultures. 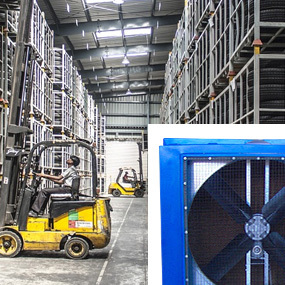 Warehouse Cooling Cost Reduction: Why Should You Get Rid of Air Conditioners? 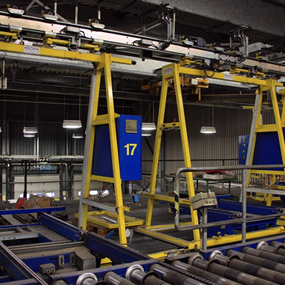 Warehouses come in all shapes and sizes, but they do share some common factors. 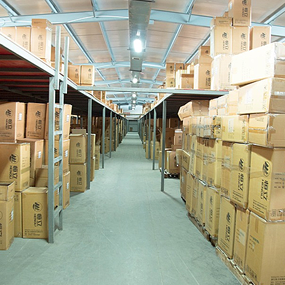 A storage area is defined by its dimensions, by its boxy shape and overall capacity. It's tall and wide and long, a perfect space for long rows of shelves and the interspersed workstations that connect alternating aisles to a central pathway. Water is nature's lifeblood, which is a fact that simultaneously encourages and worries engineers. Imagine a cool stream flowing along an aqueduct. The wetted coolness reduces the temperature wherever it passes, but it also works indiscriminately to feed a tangle of weeds, one that eventually clogs that same aqueduct. The agricultural industry dominates the globe's natural manufacturing resources, crowding our fields and plains. Meanwhile, cultivated plants and well-tended vegetables grow under elongated panes of glass inside our sprawling greenhouses. In the context of comfort, we hate noise. It disrupts concentration and causes headaches, especially when we're focusing on a delicate job. After all, animals react violently to loud sounds. Even communicated bird song is corrupted by the grating sounds of technology and human progress, much to the dismay of avian enthusiasts. The moment someone enters a warehouse, there's a momentary pause to look down long passageways and look up at high ceilings. Massive shelving systems are everywhere, and a feeling of claustrophobia competes with a sense of open space. 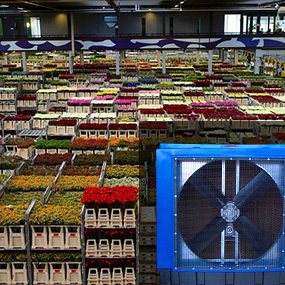 Evaporative coolers function beautifully in this scenario. 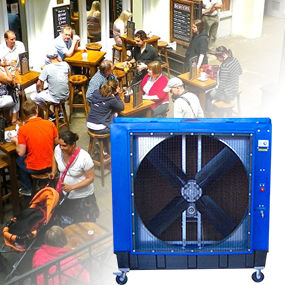 With the correct care and maintenance, evaporative coolers provide efficient cooling and ventilation to large areas and events. Part of maintaining these coolers in the right manner is never using dirty or contaminated water in them. 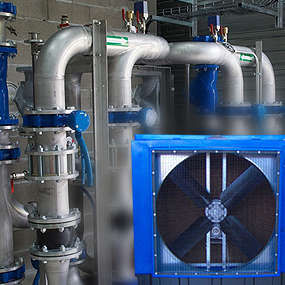 At times, a commercial building or other large area requires adequate ventilation and cooling to maintain a comfortable, safe environment for people, plants or animals. Selecting the right method to obtain this goal is tricky, though, as some methods produce excessive noise while running. If we act on instinct during the hot summer months, we head for the beach and dive into the water, or, if the coast isn't close enough, we pull out a map and navigate to the nearest body of water. It's much the same when we're at work, but an employee can't just take off his clothes and run for the water. 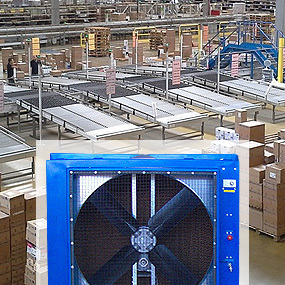 Warehouse and Factory Cooling: Why Choose Evaporative Coolers Instead of Air Conditioners? 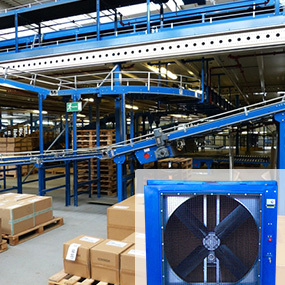 Viewed as the ideal appliance in many scenarios, air conditioners simply don't make the grade where warehouse and factory cooling is concerned. There's something about the inside of a warehouse that turns open space into a heat magnet. The air is uncomfortably warm. Breathing feels like an effort due to the stagnant environment, and it's hard to imagine an affordable means of humbling the high temperatures. Thoughts of pollution make you turn on your tap and look for brown water. Even a supposedly efficient air cooling solution, one that uses coils and chemicals, will have you checking the filters to see if they need replacing. 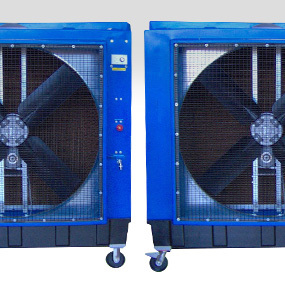 As prominent evaporative cooling advocates, we've passionately endorsed the benefits of this climate control system. It's simple to use, based on simple mechanical parts, and designed to work without harmful chemicals. 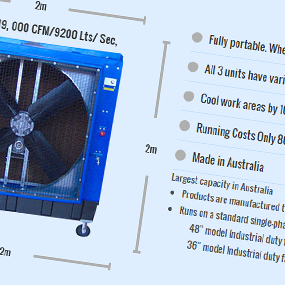 Evaporative cooling favours the outdoors in a way that other temperature management systems just can't match. Boxed "conditioners" with metal coils and complex heat exchangers require large power reserves if they're going to work outdoors at all.